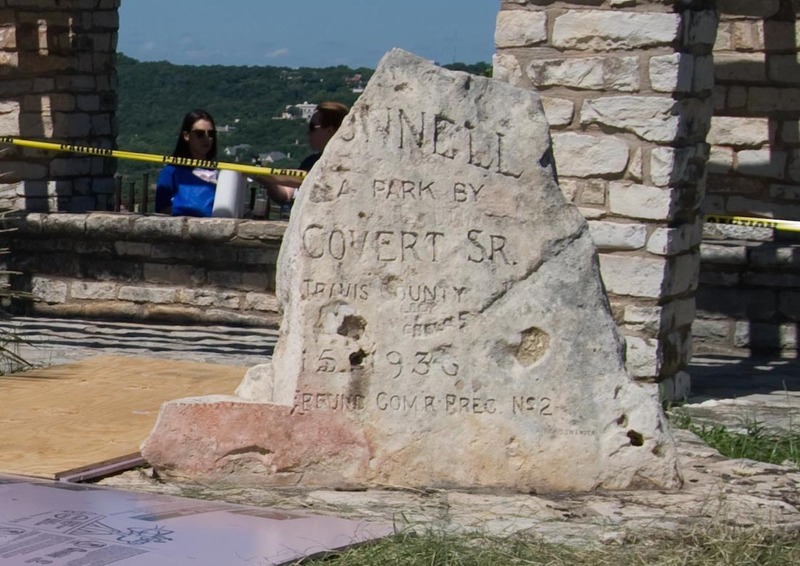 Austin, Texas — Preservation Texas, Inc. has announced that the conservation of the Covert Monument on Mount Bonnell in Austin, Texas, will receive a 2016 Honor Award on February 18, 2016. The Honor Award will be presented at a special ceremony at the historic State Theatre on Congress Avenue in Austin as part of the Preservation Texas 2016 Summit. Mount Bonnell has served as a popular attraction since the 1830s. 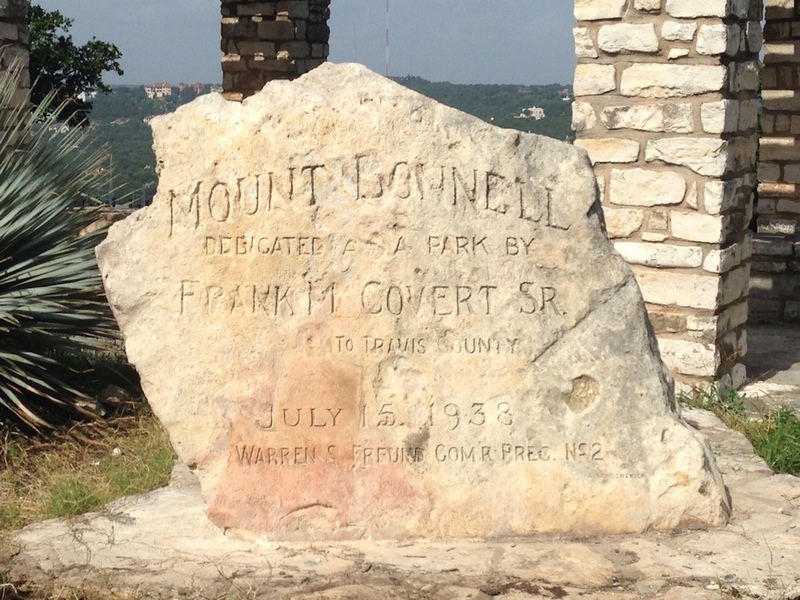 The 1938 Covert Monument is the oldest man-made feature at the site and was carved by Anton Stasswender to commemorate the gift of the property by Frank Covert, Sr. to the public. 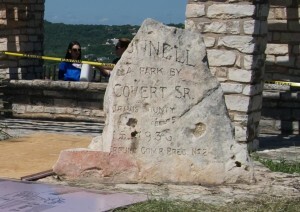 But in 2008, the Covert Monument broke to pieces, and it remained that way for seven years. The repair and conservation of the monument involved careful reassembly. A hydraulic crane positioned a new piece in place which was joined to the primary stones with titanium pins and epoxy. Following the successful reattachment of various pieces, the team worked onsite for two weeks to complete the restoration. After injecting grout into the body of the stone to strengthen the monument, the team mortared and tinted the joints using a “Dutchman” repair technique, which involves salvaging and carving stone that matches the historic material to replace pieces that had been lost. The project team included the City of Austin, Silver Lining Art Conservation, Bartlett Stone Carving and Vault Fine Art Services.